Families and sponsors are encouraged to attend and cheer on your student! Fun Run will be held outside on the field. Be sure to dress for the weather! Individual cups of water will be provided, like a real marathon! Morning Fun Run: Children are still required to arrive to school on time. Afternoon Fun Run: Children will be returning to class for normal dismissal procedures. 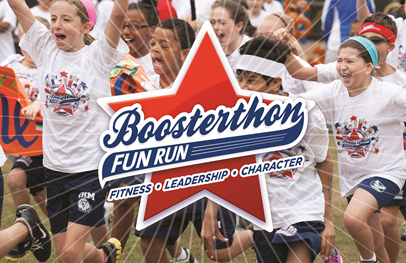 We hope you are enjoying the positive lessons that your child is learning through the BoosterThon Team Huddles! Throughout the week, be sure to ask them what these lessons mean and how important they are! How Did You Support Twinbrook Elementary? Did you log on to FunRun.com and enter your pledges? If you couldn’t go online, did you log your pledges in your Pledge Cards? If you did any of these, then you have helped raise money for Twinbrook Elementary indoor recess supplies but DON’T STOP NOW! Thursday, November 7th is the LAST DAY to receive pledges! Recording paper pledges that students return to school. Place pledge cards back in teacher’s mailboxes. Pouring and distributing small cups of water for each of the runners. Mark as students finish each lap. Make sure students stay on the field at all times and are participating safely. Sort and log money that students bring in from earned pledges. Twinbrook Elementary PTA will honor Student Service Learning Hours! For details on each assignment, please contact Stephanie Diaz at Volunteer@TwinbrookPTA.org and/or A’Jeenah Chavez at Fundraising@TwinbrookPTA.org. Any day for any amount of time you are available is appreciated!